Retail sales adjusted for working days rose by 5.7% year-on-year in October. The latest data was roughly in line with the market's expectations. While the pace of growth picked up from the previous month, it's still below the average of 2018, though it roughly matched the 3Q18 performance. We don't see any surprises in the structure of the expansion. 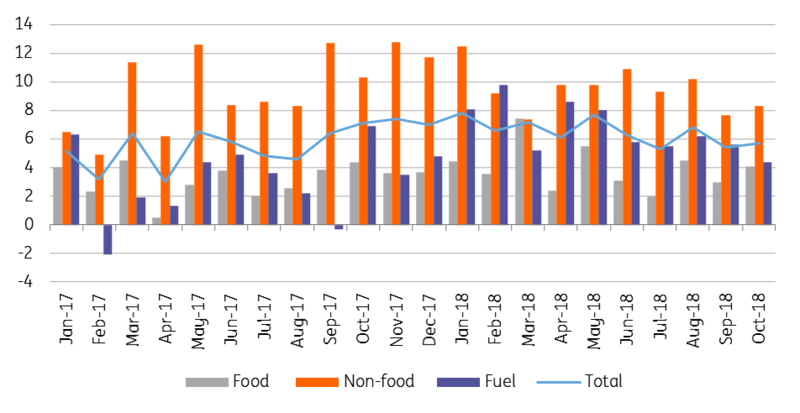 The performance of both food and non-food shops fits the trend we have seen in 2018 so far. However, when it comes to fuel consumption, the 4.4% year-on-year growth rate is the worst performance this year. Still, it is pretty obvious that the significant increase in oil prices-which also fed through to local fuel prices- restrained sales of fuel. Looking forward, we expect the record tight labour market to further support household spending. 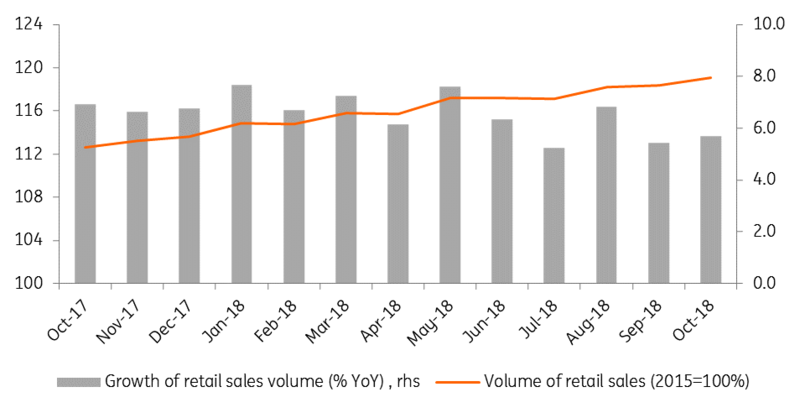 However, as real wage growth has been slowing lately, and the base is already high, we see retail sales decelerating gradually in the coming months, with close to 6% YoY growth in 2018 as a whole.